Time to dust off your Sailor Moon costume and your autograph book. Not one but two conventions dedicated to all things pop culture are happening this weekend: WonderCon in Anaheim and Anime-Conji in San Diego, which focuses specifically on Japanese kawaii culture, anime, and cosplay. Here’s what to expect. The sister con to the annual San Diego Comic Con, WonderCon was founded in San Francisco in 1987 but moved to Anaheim in 2012. Like Comic-Con, WonderCon has always been about comic books, science fiction, and fantasy but with the increased interest in Japanese pop culture it now also includes anime, manga, and videogames. One of WonderCon’s strongest selling points is the relative ease with which you can navigate and get around the con. Somewhat smaller than Comic Con, the lines are manageable and you don’t have to show up for panels hours in advance. Among others, the roster of celebrity guests counts comic book writer Neal Adams, writer Ed Brubaker, YA novelist Rebecca Moesta, and most of the cast from the 1980 modern classic Superman II. From Superman of the past to Superman of the future, WonderCon also offers ticket holders access to a special panel hosted by Warner Bros., rumored to feature the first trailer screening from the upcoming Batman V Superman: Dawn Of Justice. For fans of anime, cosplay, and Japanese kawaii, Anime-Conji in San Diego is where you’ll want to be. Anime-Conji first opened its doors in 2010 and has only expanded over the last five years. Due to the increase in attendance, the con will set up shop at the Sheraton Hotel in the heart of San Diego this year. The stellar line up of celebrity guests and panelists include J-Pop star Chii Sakurabi, actor Vincent Martella (voice of Phineas and Ferb’s Phineas), and voice actor Kevin Michael Richardson (Young Justice, Gravity Falls). Dororon!, Anime-Conji’s live talk show was a massive hit last year and is back for a second installment. Expect host Ben Diskin to dish up a few surprises as he interviews guests at the con. Without a doubt the coolest thing about Anime-Conji this year is the live action murder mystery scavenger hunt at the Sheraton. Based on the popular Japanese videogame franchise Danganronpa, participants will search the hotel for clues to expose the murderer in their midst (hopefully, without attracting the ire of the Danganronpa antagonist, a semi-psychotic remote controlled teddy bear named Monokuma). 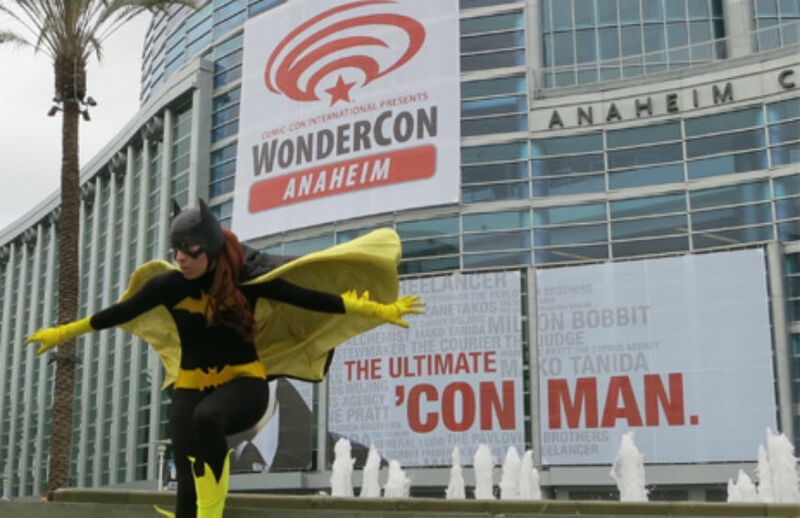 WonderCon kicks off at noon on Friday at Anaheim Convention Center. Anime-Conji starts at 10 a.m. the same day at the Sheraton Hotel in San Diego. Previous articleHigh Five! Colorado’s Left Hand Brewing Is on the Way to L.A.